IL-14 wristband is the RFID EM Marine / Temic 125 KHz wristband for access control systems. IL-14 RFID wristband has a nylon strap and a metal latch. Adjustable length of strap provides fixation on the hands both adults and children. There is a possibility of laying a logo or number. 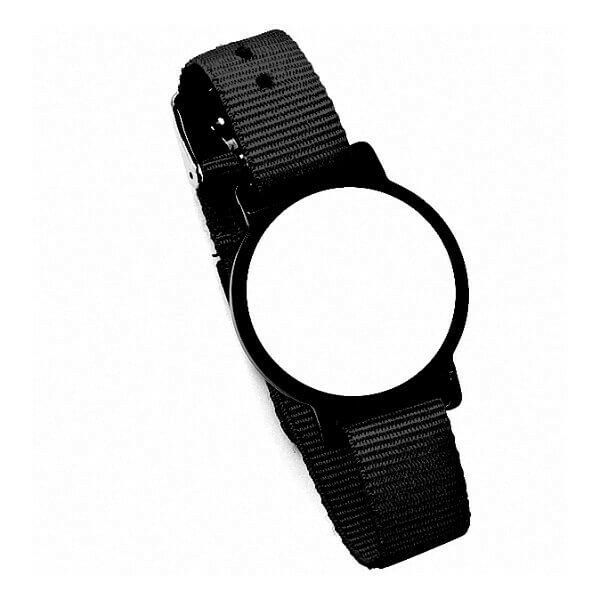 IL-14 RFID wristband is recommended for use in areas with a low moisture.